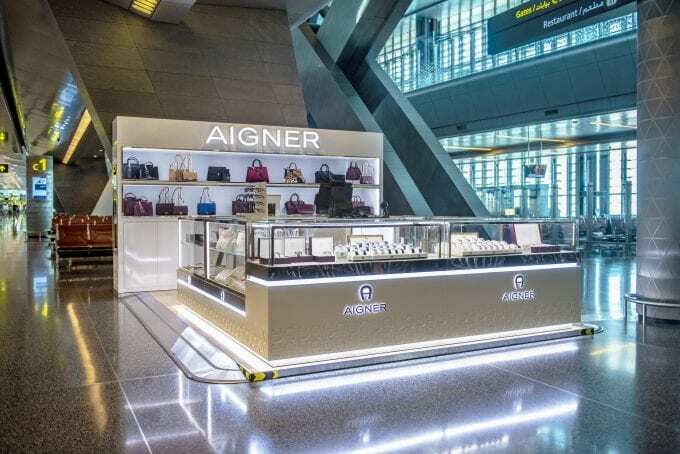 Qatar Duty Free (QDF) has announced the launch of its new AIGNER luxury pop-up boutique at Hamad International Airport (HIA). 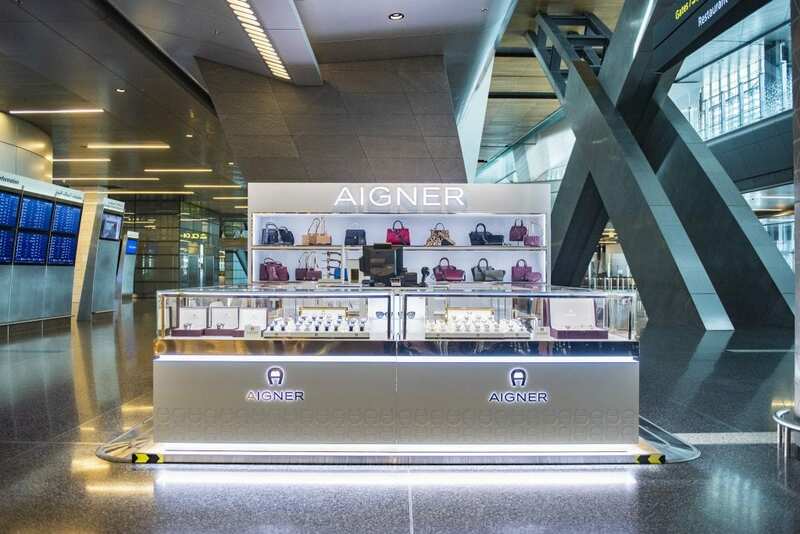 Passengers travelling through the airport can now discover the elite world of AIGNER and enjoy a wonderful shopping experience in Concourse C.
Promising visitors the complete AIGNER experience, this pop-up showcases an impressive display of all things AIGNER. Fashionable leather bags, stylish wallets, indigenous Swiss made timepieces, fine jewellery, chic accessories and limited edition exclusive pieces take centre stage at the iconic set-up, that has the AIGNER motif emblazoned in gold. The pop-up opens its doors to the latest collection of AIGNER: AIGNER Wunderkammer. Inspired from curiosities, ancient relics, and mystical treasures, the collection highlights prints and embroideries from distant lands. The bold prints splayed across the bags and in adoring details on the timepieces and jewellery give an exotic touch to the collection. AIGNER, a renowned arbiter of fine taste, is debuting its first luxury pop-up concept in Qatar. The contemporary AIGNER pop-up at Qatar Duty Free is whimsical and practical in equal measure. The airy, well-lit space is a retail paradise for shoppers. The classic white décor with gold undertones provides the island display with light, personality and movement. The pop-up manages the feat of transporting the opulence and exclusivity of AIGNER boutiques to the display with deft structure, colour and design. From horse riding to the forefront of Haute Couture – the story of the eponymous brand, AIGNER is a spell of passion, creativity and craftsmanship. 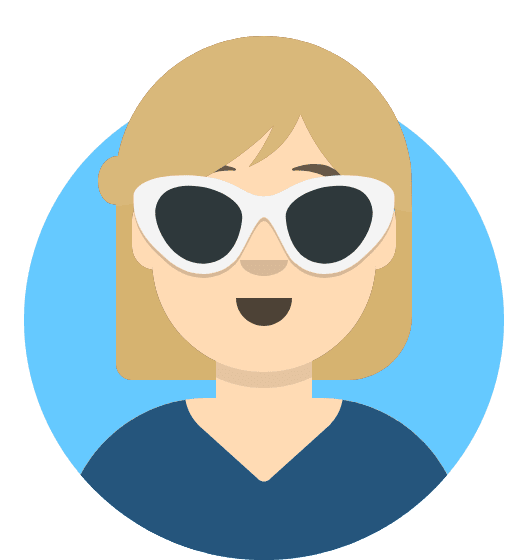 An AIGNER product is considered by many to be a modern classic, but this contemporary brand has a history that can be traced back to Hungary in 1904, when its founder and original designer was born. The company was based in Munich, where the mood was one of excitement and a euphoric belief in progress. The free-spirited nature of the time influenced the company’s direction and Aigner went on to become a cult brand by virtue of its reflection of a life of pleasure and savoir vivre. Luxurious leather bags, Swiss made timepieces and accessories carrying the famous horseshoe shaped AIGNER ‘A’ logo are timeless expressions of German precision and Tuscan tradition. The master touch of AIGNER resonates in every product of the brand, making AIGNER a class apart.